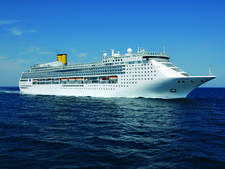 Named and themed after the Italian city of Venice, Costa Venezia is the first Costa Cruises' ship to be purpose-built for the Chinese market. 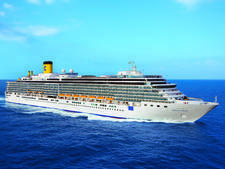 The 5,260-passenger vessel, which will be the 16th in the fleet, is currently being constructed at the Fincantieri shipyard in Monfalcone, Italy, and will enter service on March 8, 2019. 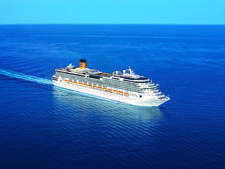 It will sail from Trieste on a 52-night eastbound voyage that will follow in the footsteps of explorer Marco Polo and end in Japan. 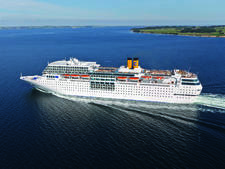 The maiden voyage can be booked in its entirety or as three separate legs: Trieste to Dubai, Dubai to Singapore or Singapore to Yokohama. 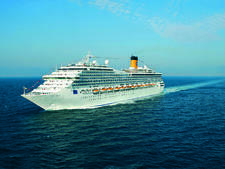 Afterward, the Vista-class vessel will be based in Shanghai. Venice-inspired public areas filled with statues and fountains include the gilded Piazza San Marco atrium, named after the city's St. Mark's Square. 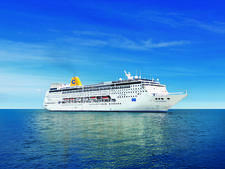 Entertainment features a masquerade ball that will re-create the atmosphere of the city's famous Carnevale. 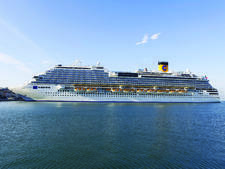 Passengers can also join a "golden party," inspired by the color symbolizing fortune and wealth in China, with the chance to win surprises and gifts every 10 minutes. 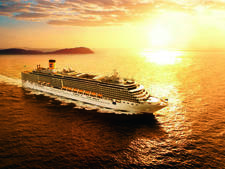 Costa Venezia has a total of 15 restaurants and six main bars, and the food offerings include classic Italian dishes, fast food and traditional Chinese and Asian cuisine. 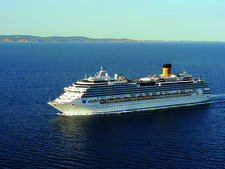 The 2,116 cabins are in four main categories -- inside, oceanview, balcony and suite. The shopping area showcases well-known upmarket brand names. 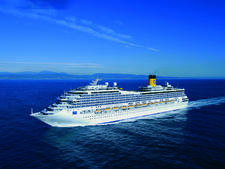 In 2006, Costa Cruises became the first international cruise company to enter the Chinese market and provide passengers with the experience of "Italy at sea." 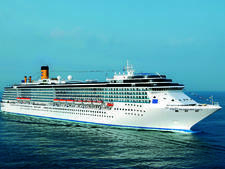 A second sister ship designed for the Chinese market will be delivered by Fincantieri in 2020. 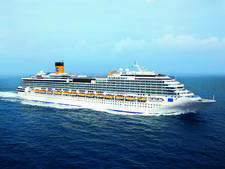 Besides the two Fincantieri ships, Costa Cruises has two other ships on order at the Meyer shipyard in Turku, Finland. 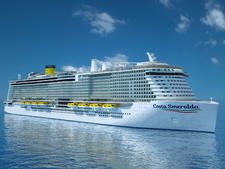 Carrying more than 6,000 passengers, this new class of vessels will be the largest in the fleet. 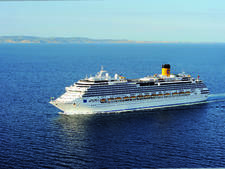 The first, Costa Smeralda, will enter service in October 2019.